Welcome to this amateur radio reference site. 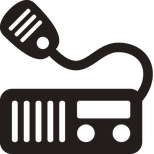 This website has been developed to record and share basic information about amateur radio projects and other relevant information. I originally compiled this material for my own use, at some point I felt that it could be a good idea to share these pages. So that's what I have done. The aim is to present relevant information as simply and clearly as possible, hopefully, this website will be useful to some users. I don't know if we are getting it right, so please provide feedback to help us improve. Amateur radio (also known as Ham radio) is a social hobby that allows amateur radio users to communicate with people they would not usually come in contact with, both locally and around the globe. The hobby has lots of different subgroups within it, most people are catered for regardless of technical knowledge, chattiness or physical ability. 'Data mode' transmissions (HF) allow for global communication using text only, local repeaters (VHF) allow for a full two-way conversation with someone closer to home. Whatever direction you choose, you will find yourself rewarded over and over again by this popular hobby. For many, an excellent way to get started in radio is to start listening, scanning the airwaves for either aircraft, global broadcasts and anything else can be fascinating. An SDR (software defined radio) is an inexpensive way to get access to the entire radio spectrum easily. Connected to a PC you will soon be able to tune into all sorts of radio communications both locally or from around the world. Or the use of a handheld radio scanner may also be an option. There are many internet based resources available, many people enjoy getting involved with a local radio club. HF bands are often interesting to listen to, so consider this when buying your first radio receiver as some SDR radio's don't cover HF out of the box. For receiving HF bands you will also need a balun and some wire. The longer the better, so stringing something up across your garden or loft should yield good results. Simply click on the link you are interested in from the top or left-hand sidebar.